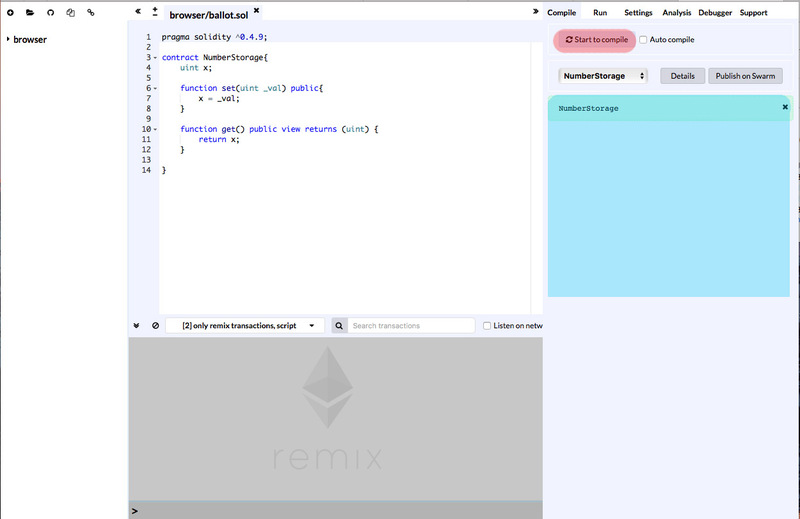 In order to deploy a smart contract, we will use Remix IDE. Why I’ve chosen this tool? Because it is online so we don’t need to install any tool. 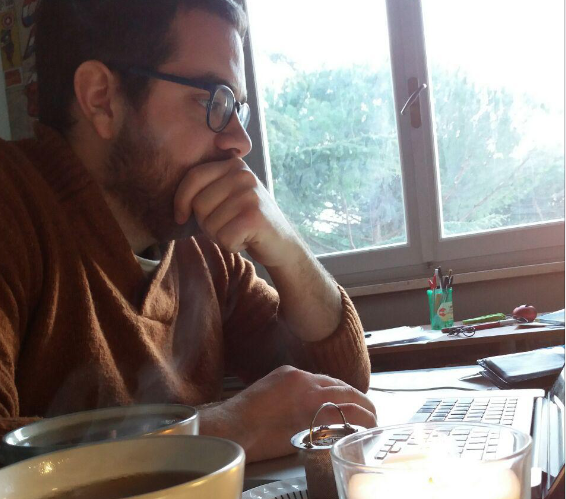 Open the Remix IDE, write your code and compile it. Here you can see the IDE. The red highlight shows the button used to compile the code. The compilation result is hidden. To view the result you have to click on “Detail”, next to contract name. On the detail popup, you can find the bytecode and the ABI (Application Binary Interface). Move our attention on the run tab. So, now we have to deploy it that means to create a transaction that deploys it. Since we are running a local VM that emulate a network, we need a scenario that describes the state of the net. In order to create an empty one, click on the save icon and then save the file scenario.json (3). To invoke a function, that means to run a transaction on the local node, you can simply click on the function name in that panel. If the function requires some parameter, type them into the input field separated by commas. 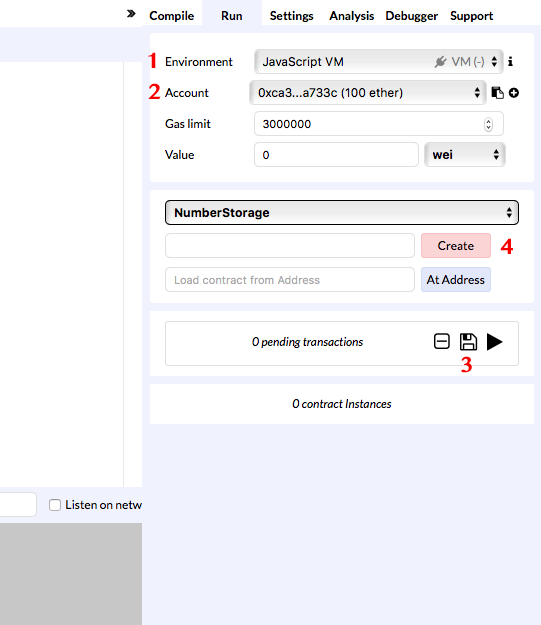 To deploy the contract on the Ethereum Network, that can be tested net or main net, we have to run a node on a chosen network and connect Remix to our node. The simplest way I have found is to add MetaMask to Chrome Extension. It is an Ethereum Wallet that will do all the dirty work for you. So, install the extension, create an account and select a test net. I’ve chosen Rinkeby. Now we need some Ether to try our contract. Fortunately, the Ether on TestNet has no value and so exists some faucet that gives you Ether for free. For Rinkeby exists this one. 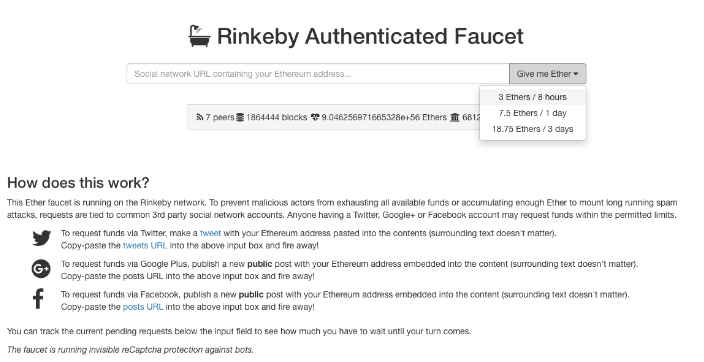 In that faucet you have to authenticate yourself to receive some money: publish your ethereum address on a public post on Twitter, Google+ or Facebook, then copy the post permalink on the faucet input. After that operation, you will receive your free Ether on your account. Now we need to connect MetaMask provider to Remix. The simplest way is to open both on Chrome, then select the Environment Remix as Injected Web3 (see the previous image, step number 1). In the account selectable field should appear your MetaMask address with your 3 Ether. 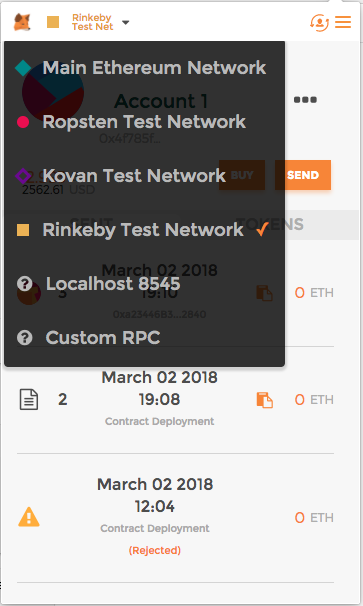 Now you can deploy the contract clicking on create button. Of course, you don’t need to set any scenario since the scenario in the test net status. 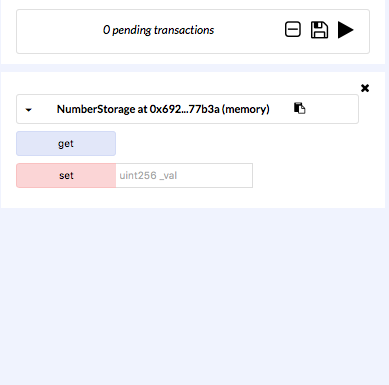 It will open a MetaMask window that asks to approve the transaction and here you can set the input values as Gas cost. Congratulation! Your contract is on the Test Net!